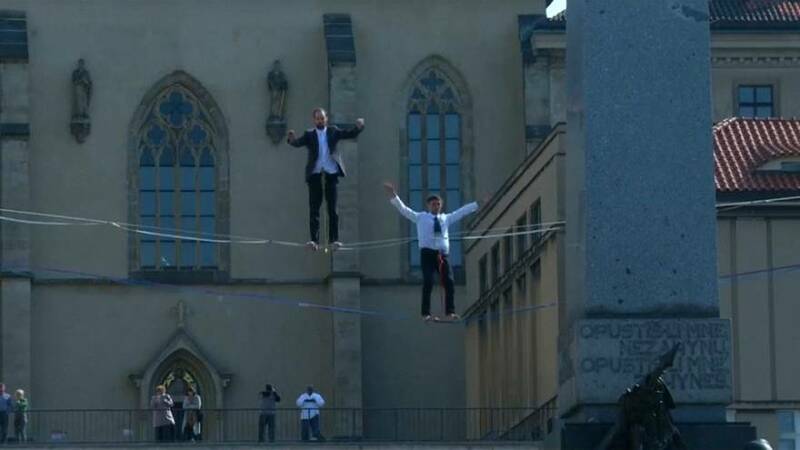 People in central Prague were treated to an acrobatic display on Monday (April 1) as tightrope walkers carefully paced to and fro in mid-air between the buildings of the Czech Republic's health and labour ministries. The stunt marked the ministries' cooperation on a new plan for mental healthcare in the country, which they say is designed to move mental health patients out of specialist wards and hospitals and provide more care directly in communities. The government's National Action Plan for Mental Health will govern mental health services in the Czech Republic from 2020 until 2030 and is being prepared in line with World Health Organization guidance, according to a statement published on the health ministry's website.